Greetings from Institute of Rural Management – Centre for Executive Education! advanced skills in formal reading, academic writing and the presentation of research. the ability to critically evaluate and analyse complex issues and deploy evidence in support of a research output. This is an open opportunity for young and fresh University graduates and also for professionals who are working under the discipline of social sciences. F-6 Super Market Branch, Islamabad. Last date for submission of applications is June 30, 2016.
rozam@irm.edu.pk. 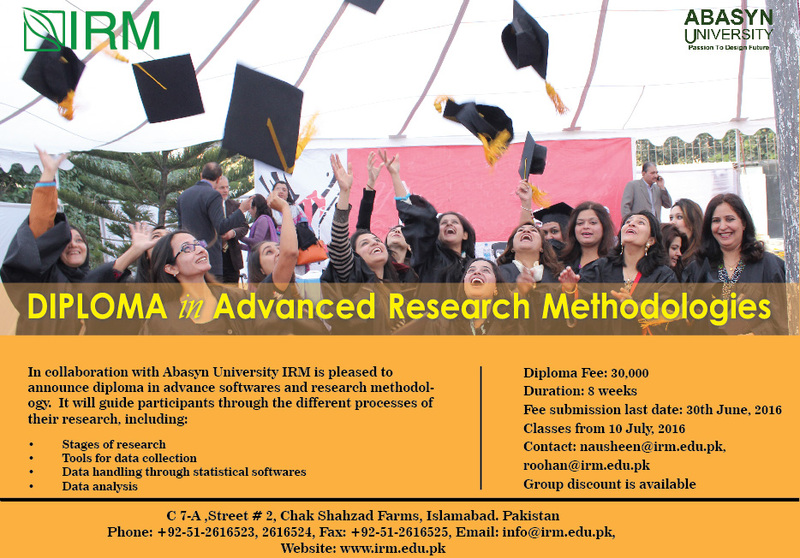 For further Information about the program, please visit www.irm.edu.pk or call us phone numbers mentioned below.